So, there has to be a reason to subject myself to the laughter that people emit when they look at my stubbly lip. And there is. Helping to make an ill child’s wish come true. Read about what a wish come true meant to Rachel or what it meant to Jesse, and I’m sure that you too will understand why I am doing this. So, help me out. 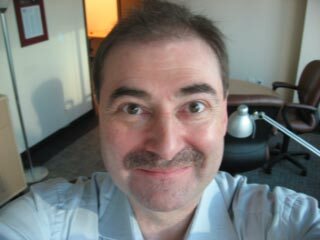 Please click on the donate button on the Mustaches for Kids home page to make a child’s wish come true. And remember, I’ll match every dollar up to $1,000 contributed by readers of my blog. So, when you make your contribution, please email me at joseph.thornley [at] gmail [dot] com to let me know that you’ve contributed. John Wiseman, Dave Fleet, Parker Mason and Francis Wooby all made donations following last week’s post. Thank you John, Dave, Parker and Francis for helping to make a child’s wish come true. If you’ve read this far in this post and you want to make a terminally ill child’s wish come true, please contribute.